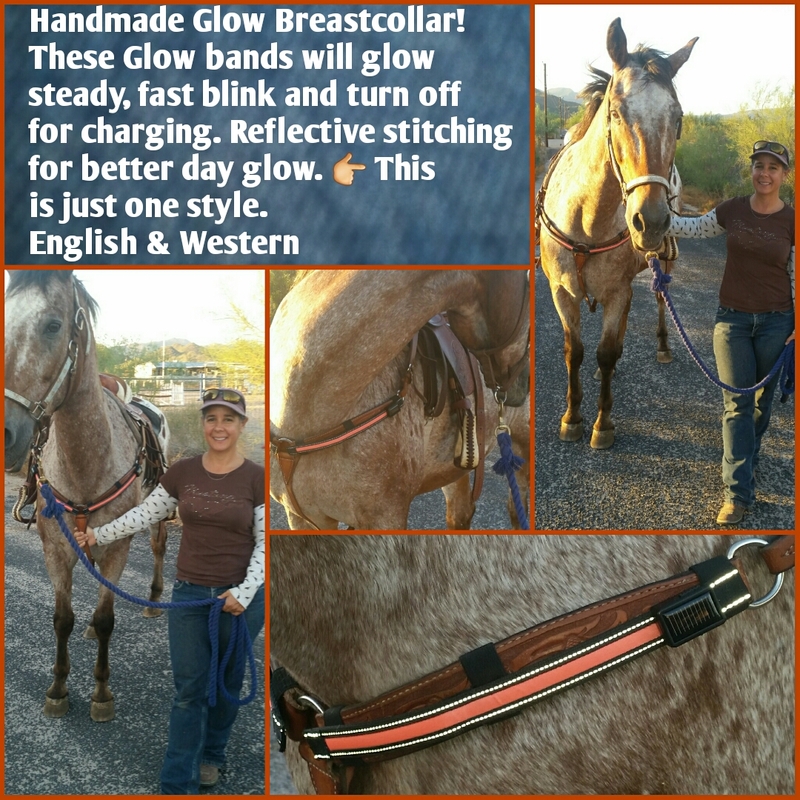 Looking for quality glow horse tack? Look no further! We have a great selection of glow tack. 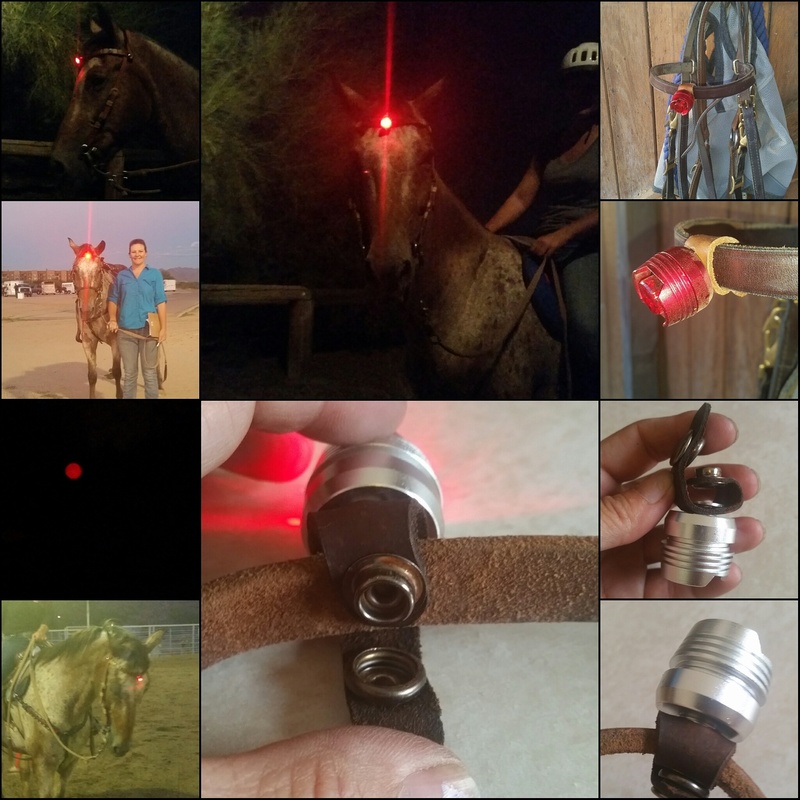 Horse Headlight – For Endurance riders – Trail riders – Pleasure riders and every one in-between. 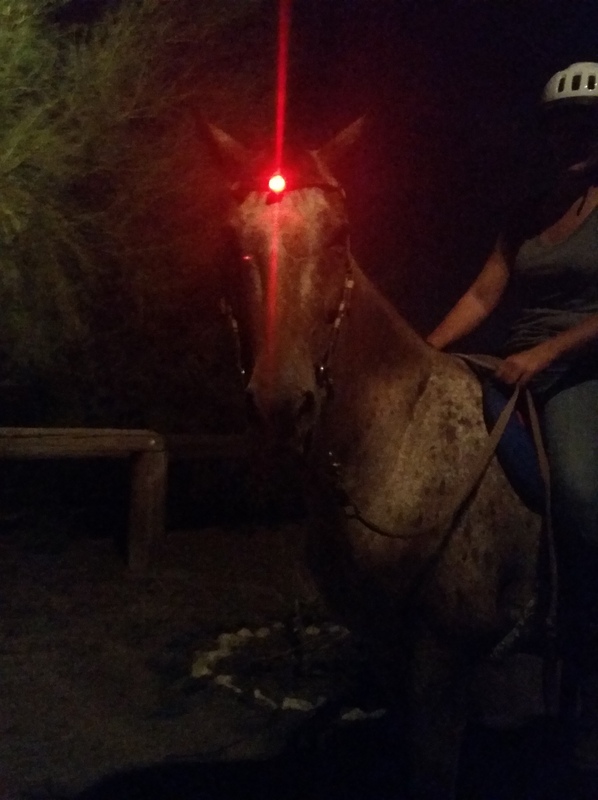 This Head light is easy to use, just snaps on! Ride to and from the arena or friends house? 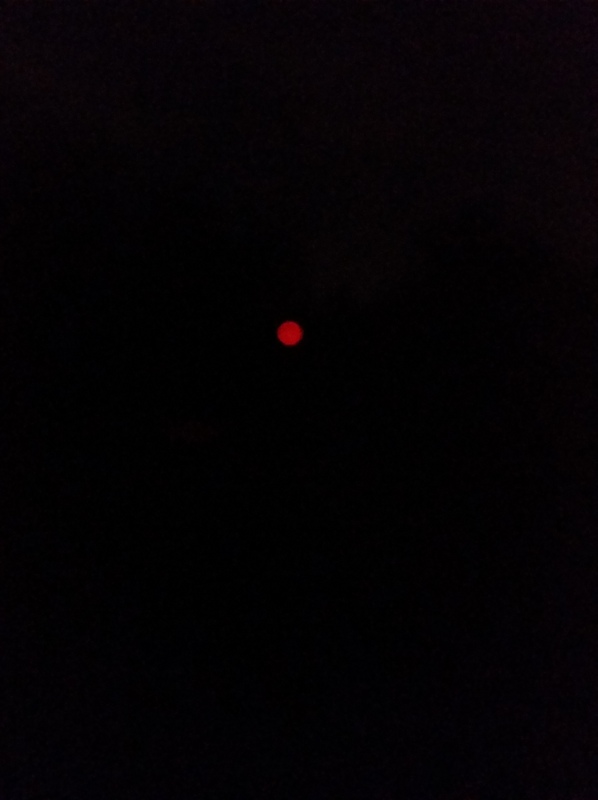 If you saw this light glowing six feet off the ground , would you slow down to have a better look? Trust me drivers will be curious. Be Active Be Safe and Glow! Horse and Hound Glow has been serving customers two years and going strong. Our products are to help keep you and your family safe and visible. 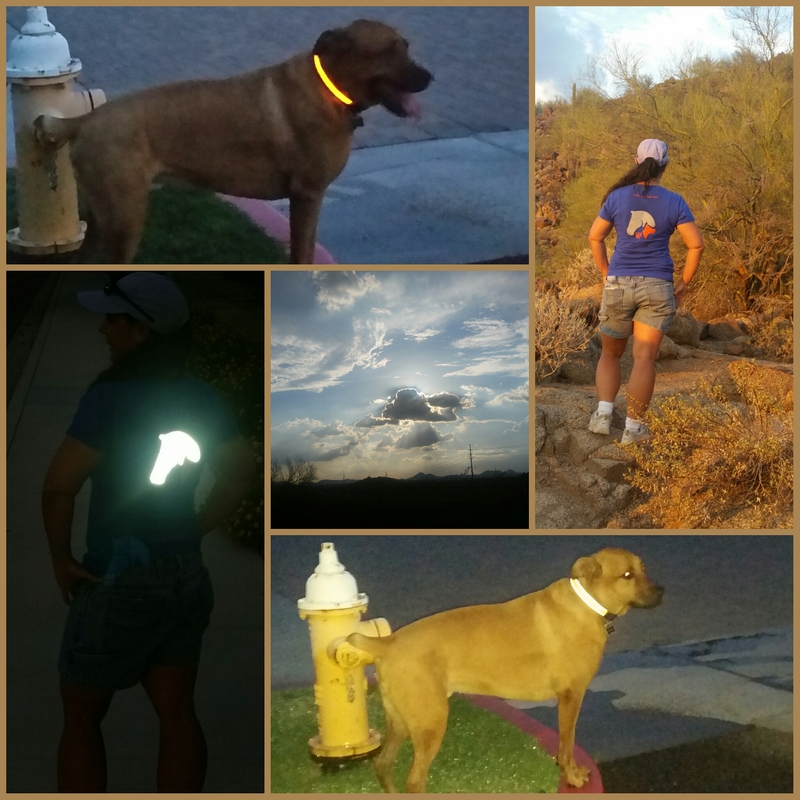 Our products are a combination of reflective, battery-powered & solar-powered. There are products for you & your family, for your dog and your horse. Application of our products are …. Horse Breastcollar – Western & English. Ready to velcro to your current tack or made to order. …. 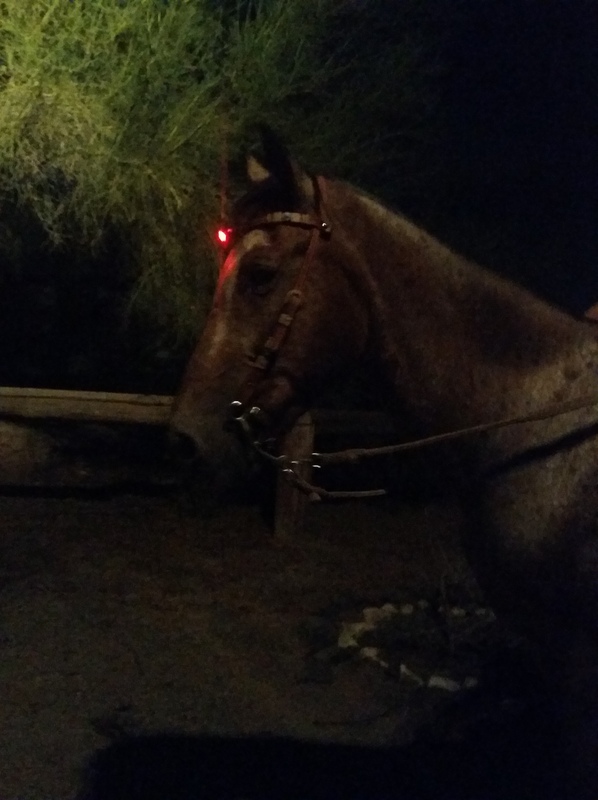 but not limited to – walking, jogging, hiking, camping, doggie activities, riding to and from the arena, endurance rides, moonlight activities, parades, parties ect. Some products are ready to use and some are made to order.